I am excited to report that I am back in the United States and even very nearly healthy. My parents decided to celebrate my return by scheduling me to have my wisdom teeth out, despite my protestations that pre-historic (or, pre-dental surgery) humans must have had some way of surviving with their wisdom teeth firmly lodged in-mouth. Immediately post-operation, I declared to my mother that surgery was “the best experience of my life,” though my positive assessment has diminished somewhat as the anesthetic has worn off, my cheeks have swelled to outrageous proportions, and I begin to go insane for lack of exercise and / or solid food. Still, being home is a welcome respite from some of the things that have been causing me to feel so confused and directionless. I’ve spent most of the last two days curled up in bed, watching The Office with my geriatric toothless Chihuahua by my side, or (voluntarily) reading books on development that I haven’t had a chance to get around to considering. 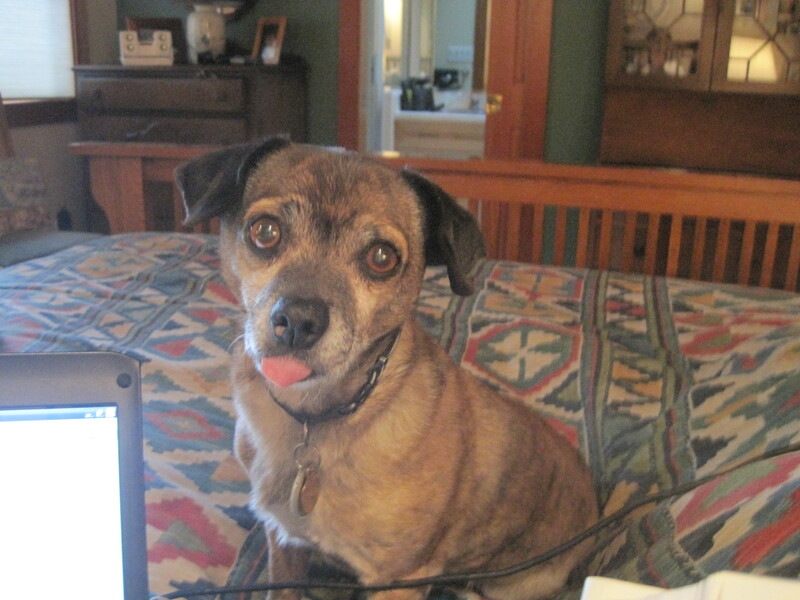 Willy's inability to keep his tongue in his mouth makes me feel a lot less stupid looking. I had a strange experience the other day. Wordpress has this feature where it provides a graph of the number of hits a blog receives per day. I try to avoid looking at it, but curiosity got the better of me. To my shock, I discovered that some people actually read what I’m writing. I’m not quite at a Daily Kos level of readership, but I seem to be getting more hits a day than can be accounted for by my girlfriend and parents. This is, on reflection, kind of disconcerting. I kept a blog in high school, but stopped writing when I realized it had just become a chronicle of my teenage angst. This summer, as the nostalgia of graduation started to hit me, I spent some time looking over my journal, and realized that there are entire portions of my college career of which I have no record. I regret that these times are, in a sense, lost. The angst is, in retrospect, kind of fun to read about, and in periods like this, even gives me a sense that everything will turn out okay, since I’ve felt this way before. I started writing this blog mostly to chronicle the ups and downs of graduate school in a foreign country, assuming that if I made it public I would feel more inclination to actually write something. The opportunity to vent politically and (attempt to) improve my writing skills is a bonus. And thus was born this eclectic mix of overly personal soul-bearing and off-the-deep-end political screeds. I suppose that anyone reading this thing regularly can probably find cause to think less of me for it! At the very least, this will serve to ensure that I can never, ever, ever run for public office in the U.S., which is probably for the best. That said, thank you to any of you reading this. It’s flattering that someone out there thinks I have something to say, and I am always grateful when you comment and respond. This sort of thing is incredibly self-indulgent, but it has also been rewarding. Being home doesn’t provide much fodder for interesting posting, but I’ll be writing up some thoughts I have on development over the next few days. And now, back to The Office. 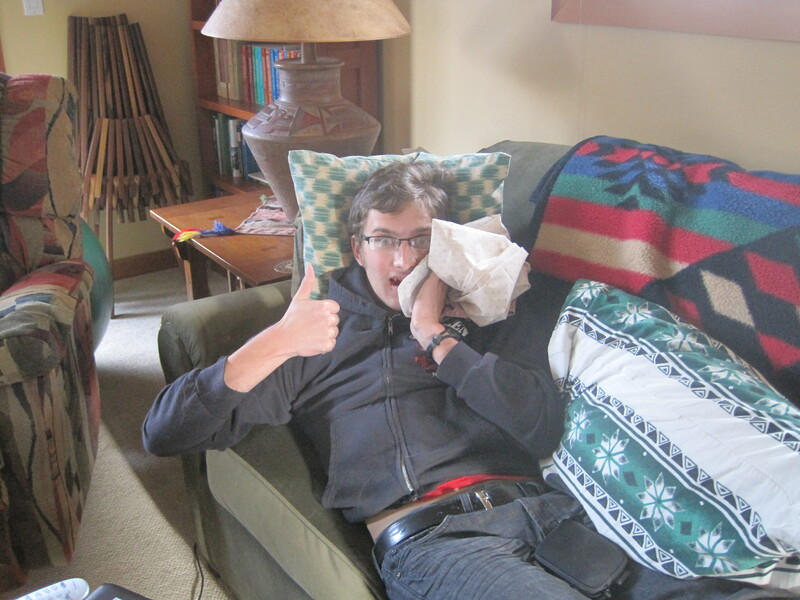 I got my wisdom teeth out yesterday!!!!!!!!!!! And my cat drooled on my computer a lot. Which is maybe equivalent to a toothless chihuahua. But I got my mom to buy me several flavors of delicious delicious vegan ice cream to get me through the inability to open my mouth. You write an excellent blog. I don’t know you that well, but I do consistently read your posts. The funny ones are quite funny, the serious ones are always thought-provoking on their own merits, even when/if I don’t agree. Don’t be disconcerted by the readers – it means you’re actually quite good.